This is an easy Halloween craft that is perfect for the classroom. Children love to make and play with this bouncy spider. 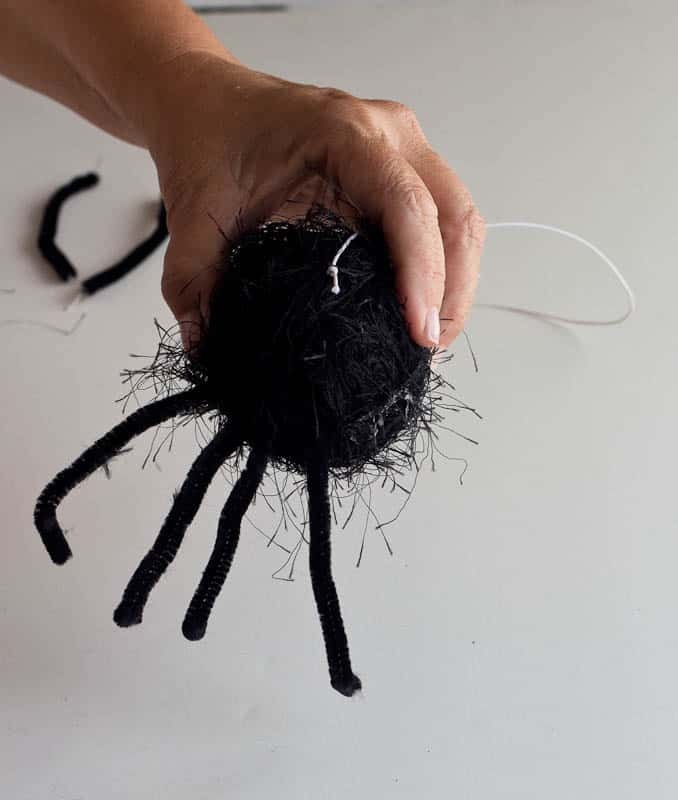 If you have to come up with a craft for your child’s classroom, and you make this bouncy spider Halloween craft, be prepared for your child to say, “Thank’s mom, all the kids loved the craft you made.” This spider was my go-to Halloween craft for both of my kids. The spider is so easy to make and kids love playing with it. 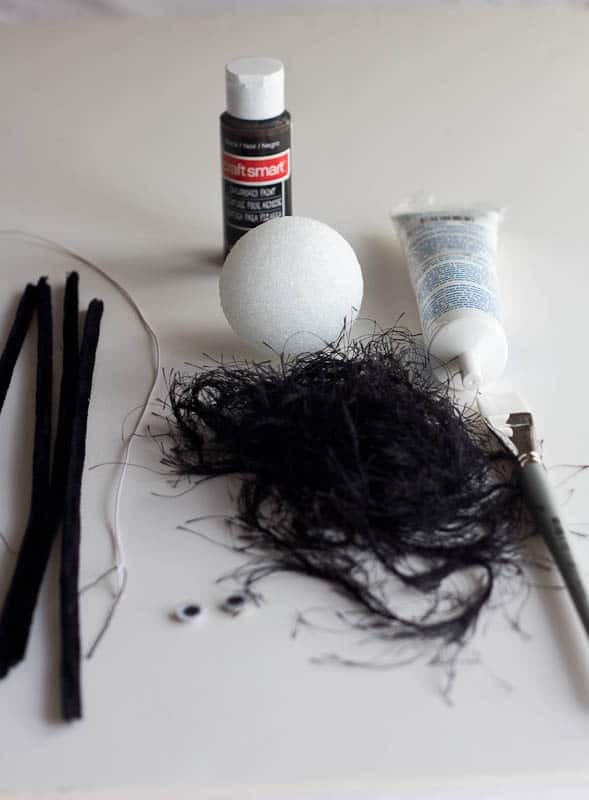 If this craft is for small children, and I am in charge of bringing the supplies, I will break down the supplies for one spider, and place the items in a plastic bag for each child. This is faster and easier than passing out the supplies when you get in the classroom. If it is for elementary school age, I let them do everything except painting the balls. You do not have to use this just for a classroom craft, your kids can make these at home. I love making crafts the children can actually play with! 8 pipe cleaners cut into 4-inch pieces (I do this beforehand). 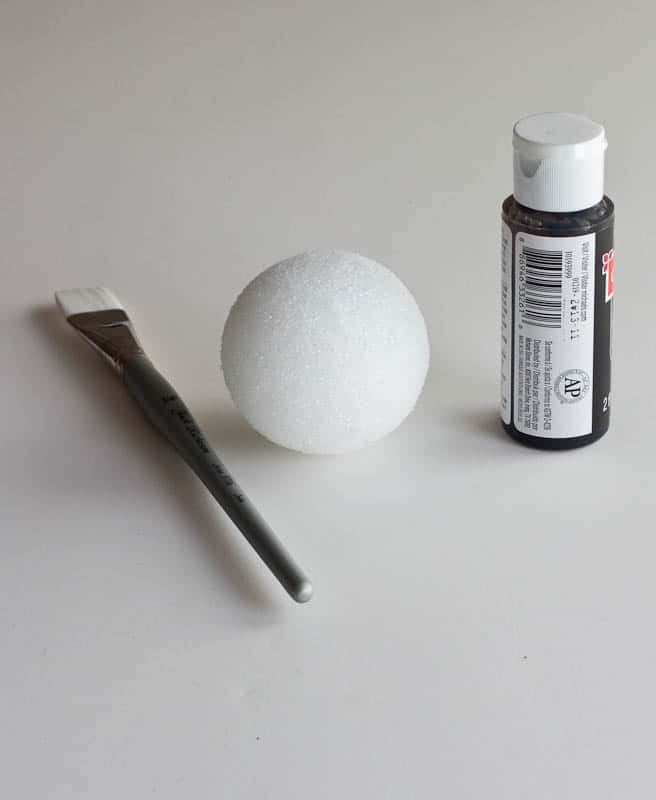 I paint the balls black at least one day before. I recommend using craft paint and not spray paint. 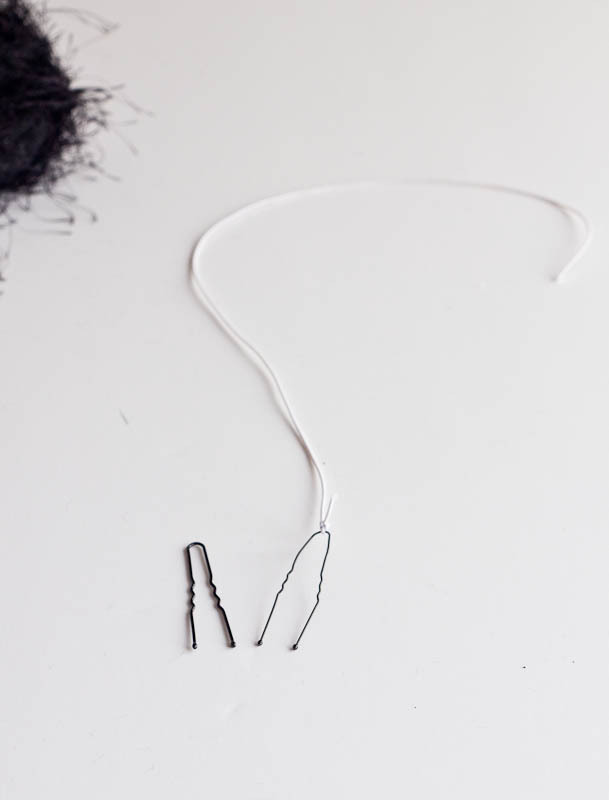 Tie the elastic to one rounded bobby pin (do beforehand). 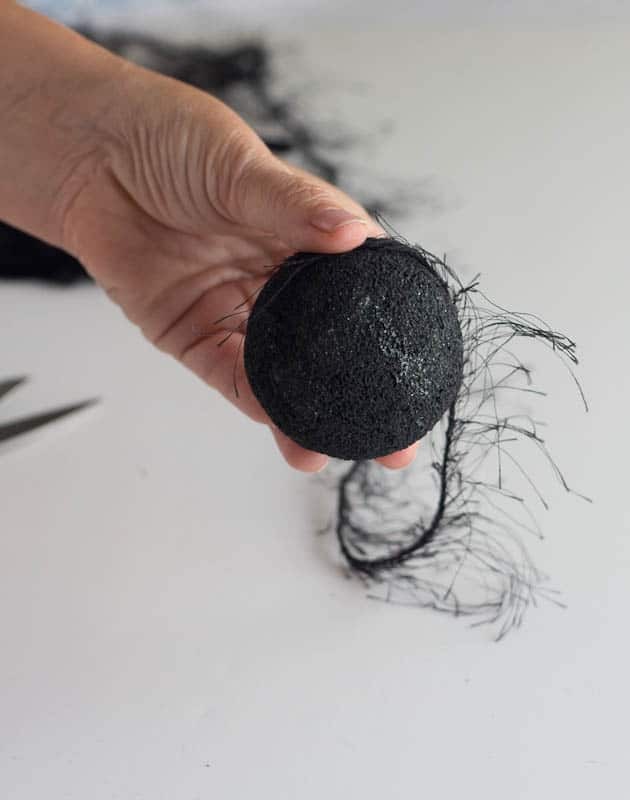 Wrap the eyelash yarn around the ball. 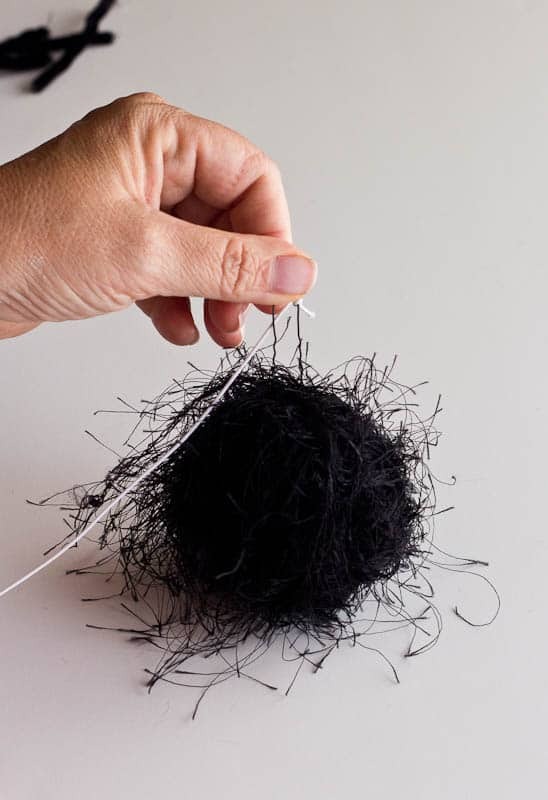 After you have completely wrapped the ball, push the bobby pin onto the end to hold the yarn in place. Cut the pipe cleaners into 8-4 inch pieces. 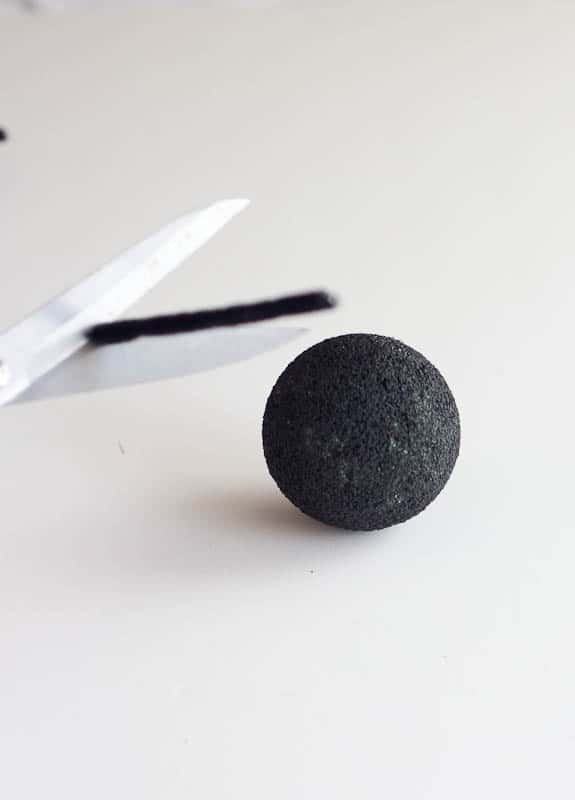 Stick the pipe cleaners into the styrofoam ball. If the child has trouble, you can pull the little pieces of fuzz off the end of the pipe cleaner. Glue on the eyes, and the spider is ready to bounce. Some of my favorite memories of my children in elementary school is when I would come to the school and help in the classroom. 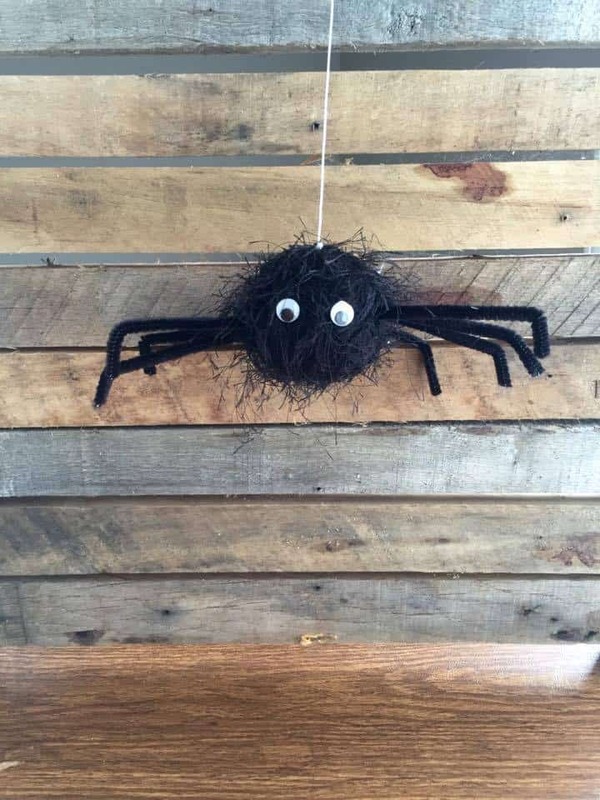 This bouncy spider Halloween craft will be fun for you and all of the children to make! Sherry, This craft gives me a happy smile! Seriously. Kid friendly crafts are the best. I love the look of your little spider and can imagine the smily faces of those children. Thank you for sharing! That is a great activity for a school Halloween party Sherry, sooo cute! I pinned it to Fall decor, have a great weekend! I love this project! What a fun kid friendly craft, thank you for sharing it! Cute, cute, cute! What a fun and easy project for Halloween. I’m sure recreating it took you back several years to when you made these with your kiddos. Sherry, this is the cutest spider, and I love that my kids can make it. I’m always looking for crafts for them, and they love all things spooky or gross, so this is perfect! I hate spiders, but this one didn’t look scary. Sherry, this is such an easy project and I can see why the kids would love it! I have to honestly say, that I saw a live and gigantic wolf spider the other evening, here in TX. It was right by the door we were going to enter, so we went another way. Even though we were about 6 feet from it, my daughter-in-law said to watch out cause they can jump far. Now, that was scary! What a fun Halloween craft Sherry! Now I’m thinking I could start and have each one of my kids in school make one and on Halloween they can take it home! So darn cute! This is the cutest spider I have ever seen. I bet the kids love making these. That’s just the cutest bouncy spider ever, the kids must love making these. Adorable Sherry! This is really cute Sherry. I can see why it is such a favorite with the kids. And it’s not too scary so it is a natural fun toy for them to play with and perfect for decorating as well. This is so cute. I love how easy and fun it will be to make. Thank you for sharing at Dishing it and Digging it link party. Hope to see you this coming Sunday. Have a great weekend.